Land restoration efforts aided by an agricultural insurer. 168 countries around the world are grappling with the issue of land degradation and desertification, South Africa being one of them. Thankfully the efforts that are being made in South Africa are sustainable ones that are set to provide long-term restoration of landscapes. There are many helping hands in this process, Living Lands and Commonland being the two organizations partnering with each other in order to connect users and beneficiaries so that real solutions can be found and implemented; not only treatments for symptoms. Commonland has assisted by creating connections between international impact investors, big business in the surrounding Eastern Cape area and even insurance companies. Their efforts since 2008 have resulted in over 3.7 million trees being planted and weirs being built in order to better manage the water resources in the area. It’s not a surprise not-for-profit organizations that are devoted to sustainability take action and try to implement sustainable changes, but when a company for profit such as an insurance company does the same, it is great news and quite an attention grabber. It seems that more and more corporations are realizing that sustainable change is something they need to invest in for their own sustainability too. 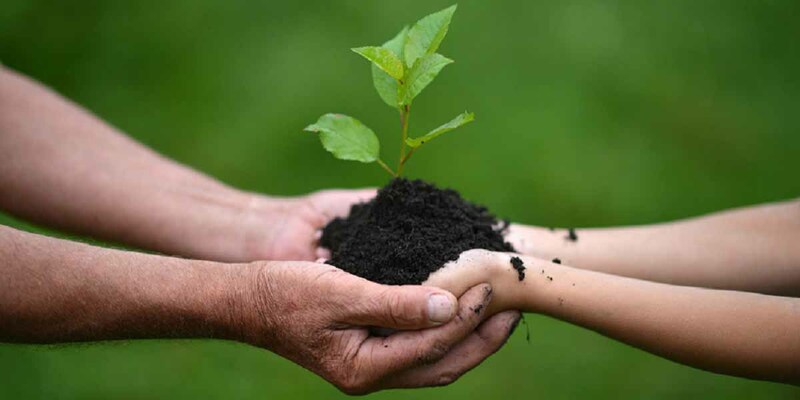 Corporate social responsibility was a hot topic a while back and continues to be implemented around the world to varying degrees, but a very interesting example of taking it a step further and actually funding sustainable changes that could benefit far more than one community is Santam. As South Africa’s largest agricultural insurer, they understand the risk to them in a world that is getting warmer with fewer viable agricultural landscapes as an expected result from this. Because of this, Santam is making great efforts to improve and promote healthy landscapes nationwide. This project in South Africa has done something long needed – it has brought together all the interested parties including the land that is relied upon for work and life. Pieter Kruger is an example of the positive effects from this project. A weir that has been the result of these restoration efforts will not only benefit his farm in the Baviaanskloof area, but also many who live downstream. Pieter and Magrite Kruger are also investing in more sustainable farming practices. This, unfortunately, means they lose their primary farming practice of rearing goats and sheep as these are not sustainable for the environment. Previously, South African sheep farmers were allowed to cut runoff channels into the landscape that resulted in the subtropical thicket that retained water in dry seasons dying – because the runoff was specifically channeled, the thicket was destroyed. Spekboom trees, a type of succulent dominant in South Africa, were the main element of this thicket and are now being re-planted in an attempt to find new ways to benefit farmers. Pieter and Margarite have millions of Spekbooms planted on their farm in hopes of restoring the land and finding new hope. The IUCN, a conservation group, has noted these restoration efforts as a successful way to regenerate landscapes and prevent topsoil runoff that only furthers land degradation. Thanks to the cooperation of public and private, government and individual, this project should bring relief to many who have been struggling and suffering under drought conditions. The city of PE and the surrounding areas will benefit greatly from the efforts made to restore the landscape as they have been very hard hit and struggle to access water. There are many such areas in Africa and Southern Africa that too can benefit from similar efforts to this project. Santam’s understanding of risk is spreading nationwide, with this type of forward thinking risk analysis being used by municipalities and other partners that Santam is actively forming partnerships with. This is in order to mitigate natural disasters and aid in relieving climate change related problems that Santam understands will halt business. Forward thinking combined with the ability to learn from one’s mistakes, such as allowing natural water management systems to perish, promises to alleviate the strain on farmers and citizens in South Africa alike.